The Holidays come and go so quickly, in a blur of wrapping paper, lights and cookies, and then it's all over but the clean up. If you're anything like me, you take a bunch of pictures that then sit on your computer, rather than taking time to capture the things you really want to remember. 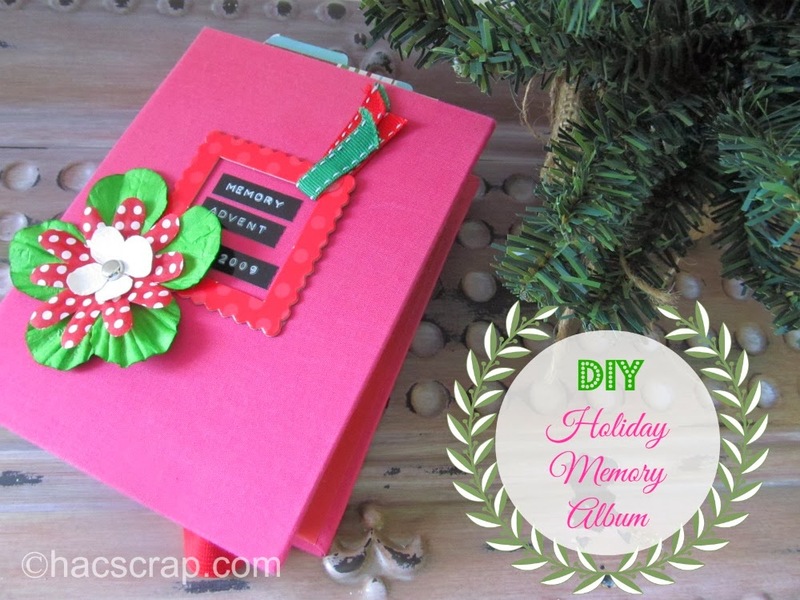 To remedy that situation, a few years ago I created a simple Holiday Memories Album. It took me only a few hours to put together and covered our entire Holiday Season. There are similar ideas floating around out there if you search for "December Daily", but they can seem overwhelming and involve a lot of time. For this album, there are only a few steps and you can do it all in one afternoon, or spread it out over the entire season. First, pick up a festive album. It doesn't have to be fancy. The one I used is a simple 4x6 photo album from Target. I used my craft stash to add embellishments to the cover. I pre-cut 4x6 pieces of white cardstock and holiday print paper; enough to fill all the pages of the album. Once your album is set up, you just take pictures (or use ones from past holidays), print them out and journal. By the time New Year's Eve rolls around, you can have a little album to commemorate another great family holiday. Behind on holiday memories? Cover several years in one album - the choice is up to you. How do you record the holidays for your family? Hi, what a great idea that I wished I had done years ago. 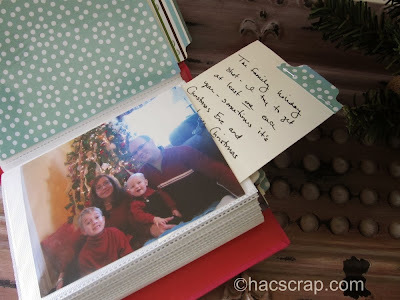 Such a simple but wonderful idea of ways to remember the holidays without stressing out about making a huge complicated album!! Thanks for sharing! That's a great idea! I love other people's scrapbooks but can't seem to get myself to do it (and I'm not usually that pleased with the results when I try). But this looks doable.